à la carte - Glenwood Springs, CO | A cute way to walk that adorable toddler down by one of our many rivers or streams. Carry our favorite tote of the summer, wide stripes of canvas and leather trim. 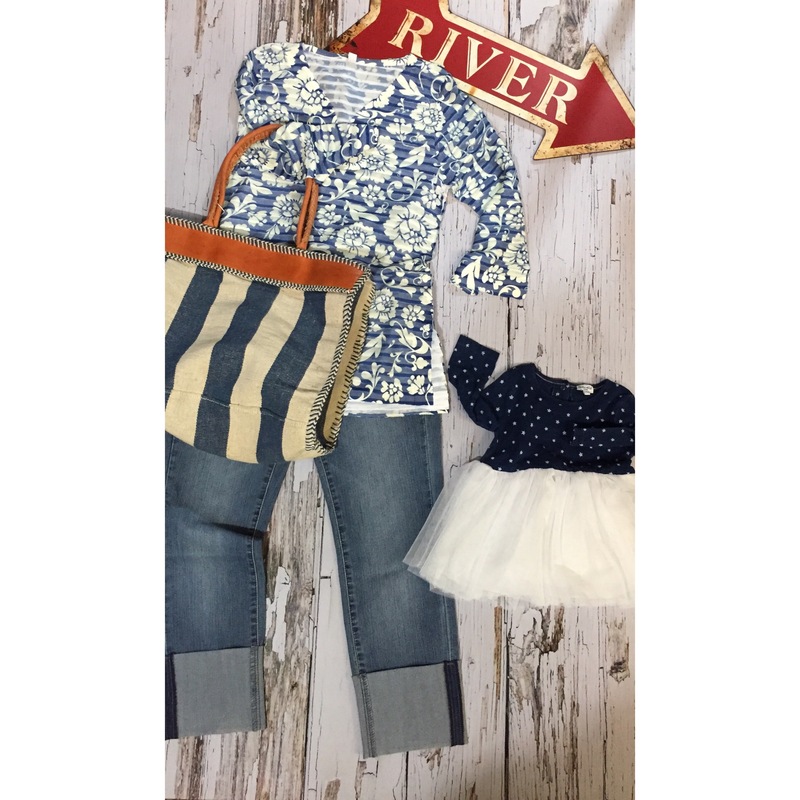 A cute way to walk that adorable toddler down by one of our many rivers or streams. Carry our favorite tote of the summer, wide stripes of canvas and leather trim.